Finding the right location for your business is an exciting step. The right office space can transform your business and make it more successful than ever. Most business owners don’t buy an office space, though. They rent it on a monthly or annual basis through a commercial lease. Maybe you signed a lease before, when you rented an apartment. Signing a commercial lease is different, though, because there is much more at stake. 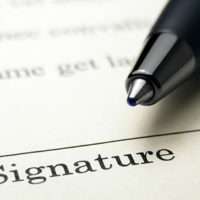 If you sign too quickly without a thorough review, you could lose a lot of money. Don’t let this happen to you. Your business is your main source of income and you need it to flourish. Find out how to protect yourself. Here is what you need to know before signing a commercial lease. Did You Read and Understand the Entire Document? It’s not enough that you read certain parts. You need to read the entire lease agreement. It’s long and boring, sure, but you need to understand every part of it. You need to know the terms, conditions, restrictions and obligations of both parties. If you don’t, you will certainly regret it later on. Is the Space and Location Right for Your Business? Make sure you are truly happy with the location of the property as well as the amount of space you have. Consider all your inventory and employees. Is the space large enough? Do you plan to grow in the next five years? If so, will the space accommodate it? You don’t want to outgrow the space before the lease is up. What about the location? Will you be able to attract enough customers? Do you have ample parking? These are questions to think about because you want to be easily accessible. What happens if the air conditioning goes out or the building is flooded? Who is on the hook for repairs? In most commercial lease agreements, the tenant is the one who must pay for everything. Make sure you know before you sign the lease. If you do sign the lease, you should find some people now who can help you in an emergency. If the landlord has been having a slow year, he or she may be more than willing to negotiate if it means the difference between signing the lease or losing you as a tenant. You want the best deal possible, and it doesn’t hurt to ask if you can change some of the terms in the lease. A lease is just like any other contract. You must understand the obligations of both you and the landlord and what you can expect. An experienced business lawyer can help make sure your rights are protected before you sign on the dotted line. Orlando commercial and retail lease lawyer B.F. Godfrey from Godfrey Legal has 30 years of experience helping business owners with the legal issues involved with commercial leases. Contact Godfrey Legal at (407) 890-0023 today for a consultation.